Hardware: architectural hardware is evident in every single room in the form of door knobs, drawer pulls, towel hooks, window levers and even hinges and backplates. While certainly functional, in many cases these items are miniature pieces of art that can highlight or compliment a brand logo, celebrate natural surroundings or support an overall design theme. Case in point–our Hawaiian collection designed for a large project in Hawaii that not only celebrates the tropical surroundings but also honors the history of the islands. This seemingly small detail will enhance the experience of guests and visitors and isn’t that the goal of any business? Molding, molding and more molding! Framed panels, crown molding, large and impressive baseboard moldings, corbels, medallions, rosettes..the list goes on and on. The addition of moldings can provide architectural interest to a room devoid of any enhancements or recreate the character of an historical building. Decorative trim: Wainscoting, ceiling beams, arches, cornices and door and window trim will all add dimension and interest to any interior space. Clients and customers will enjoy the time and attention paid to these architectural details as they relax in your spa, rest in your hotel room or shop in your boutique. 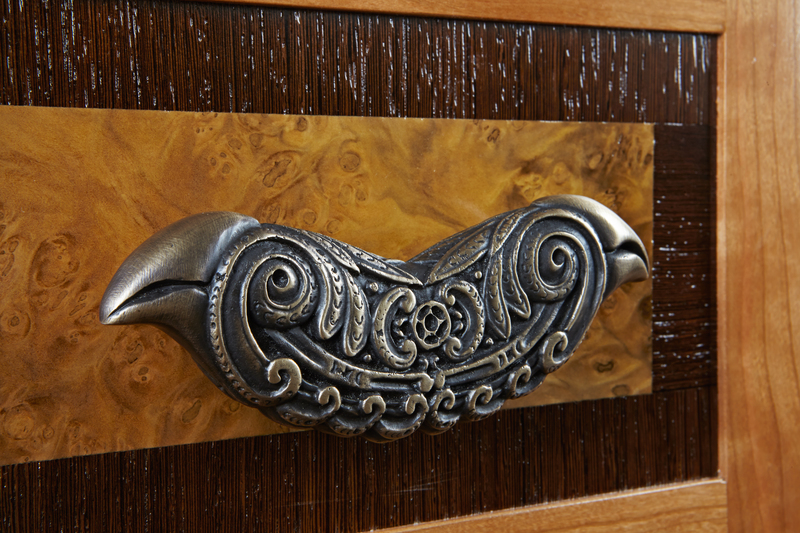 To view our entire collection of bespoke hardware visit us at http://www.martinpierce.com. This entry was posted in architectural hardware and tagged architectural hardware, dentil molding, door and window trim, molding, wainscoting. Bookmark the permalink.